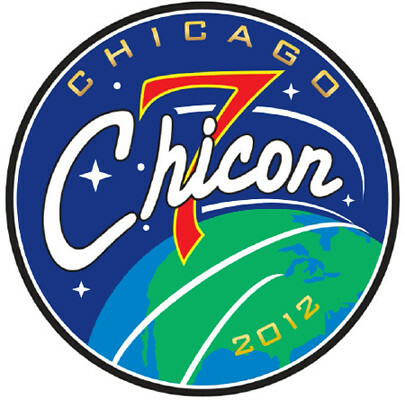 Hey, did you know I am the Toastmaster of Chicon 7, the 2012 Worldcon, which happens next week? Well, it’s true, I am! And here’s my schedule of events while I am there. I welcome everyone to the show, interview most of our Guests of Honor, and basically act like a big shot. This will be a ton of fun, I promise. 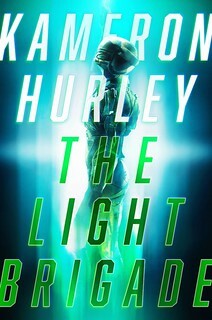 I’ll be reading something new from The Human Division. Yes, that’s right. If you’re not there, you’ll miss out. A retrospective of the various generations of fans who have added to the traditions of SF at the University of Chicago and beyond. If you’re a SFWA active member, be there! We have lots to discuss and we’ve sprung for breakfast. Don’t make me eat all the yogurt parfaits by myself. I totally will. You bring books. I sign books. It’s simple! Wake up and get a little exercise with me and these other very cool folks. A small gathering of folks who get to ask me anything they want. The sign-up is first-come, first-served, so sign up early. John Scalzi interviews Story Musgrave. 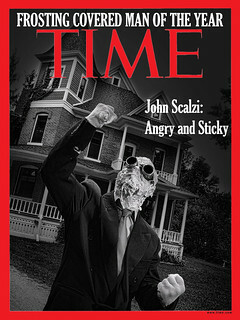 Story is is an astronaut, surgeon, jet pilot, and landscape architect. As he flew on six Shuttle missions, bred a unique new type of palm tree, and earned graduate degrees in seven different subjects, he has ignored all conventional limits. You know who gets to give out the awards this year? Why, I do! BWA HA HA HAH HA HA HA! No, I won’t know in advance who won. Don’t ask me. You can’t bribe me. This is where we tell you that it’s time to go home. When I am not at these programming items, where will I be? Mostly wandering about, spending time with friends, hanging out in the bar and generally enjoying Chicago, which is my kind of town. If you see me, feel free to say hello. If you’re worried about meeting me (or any other author), don’t be. Here’s a handy guide on meeting your favorite authors. That sounds like an enjoyable way to spend some time, though one has to bear in mind the possibility that VD may turn up to throw yoghurt at you. I suggest you take the cursed war hammer with you, just in case. My favorite Story Musgrave trivia is that he’s the only astronaut to have flown on all five space shuttles (Columbia, Challenger, Discovery, Atlantis and Endeavour). He flew twice on one, but I can’t recall which. Wish I could be there–Chicago’s my hometown! It tickles me they actually have a ballroom at the hotel named Comiskey, although it must be said I’m more of a Wrigley Field kinda girl. I wish I could be there. Shouldn’t that be a Kokezeroklatsche? Surely you CAN be bribed – it just won’t get the briber the results! So if Story Musgrave gets a band, he’ll be Buckaroo Banzai? Cool! Gods, how I wish I weren’t so totally broke! I’d love to be there. So, how exactly do you handle autographing an e-book? Surely this has come up. I wonder if Toastmaster at Chicon gets special treatment, like first class travel, a suite , personal chef, masseuse, and someone to fan you if you get warm. Plus a couple of really large men for security to keep the groupies away. I believe the “special treatment” the toastmaster gets is to be worked like a dog, did you not notice how full that schedule is? They often have me sign the back or the carrying case. Sounds like I should bring a gold paint marker with me. Now if only I still had old copies of The Maroon circa 1990 . . . .
Kaffeklatsch at 12pm? *lol* :D Wish I was there, maybe next time. Would there be any video-streams from the Worldcon for those unlucky guys living on the wrong side of an ocean/border/etc., having no chance for attending? The Hugo Award ceremony will start at 8 p.m. and will be broadcast live around the world via Ustream at http://www.ustream.tv/channel/worldcon1. In addition, the official Hugo Awards site (www.TheHugoAwards.org) will provide live text coverage via CoverItLive. The CoverItLive broadcast will be hosted by former Worldcon Co-Chairman Kevin Standlee and Campbell Award Nominee Mur Lafferty. Jennifer Davis Ewing, I had a nice double take at that Comiskey for a second and thought maybe the board was having an off-site meeting (which actually would be kind of cool, as they do rent space at Comiskey Park for such things). @geoffgerber: Thanx. This would become a long night (or a short one) if I want to watch the event life. Actually, that doesn’t seem to be a very full schedule. No panels? I’ll miss watching your lively intellect take on others. Are the rest of your family coming too? Darn. Wish I could make it. I have not been to a Chicon since 2000. I hope you will make Marcon or some of the other cons in the Columbus area soon. Sunday morning stroll with the fabulous Kate Baker? I am so there! I can’t wait. This will be my first WorldCon. I’m so looking forward to it. BTW my boyfriend and I listened to the audiobook of Fuzzy Nation and we loved it. How did the Story Musgrave interview go? Did video of it happen to leak out onto the internet for those who could not attend?